Lactoshield is designed to preserve milk for a longer period by producing amps which gets activated at high temperature. 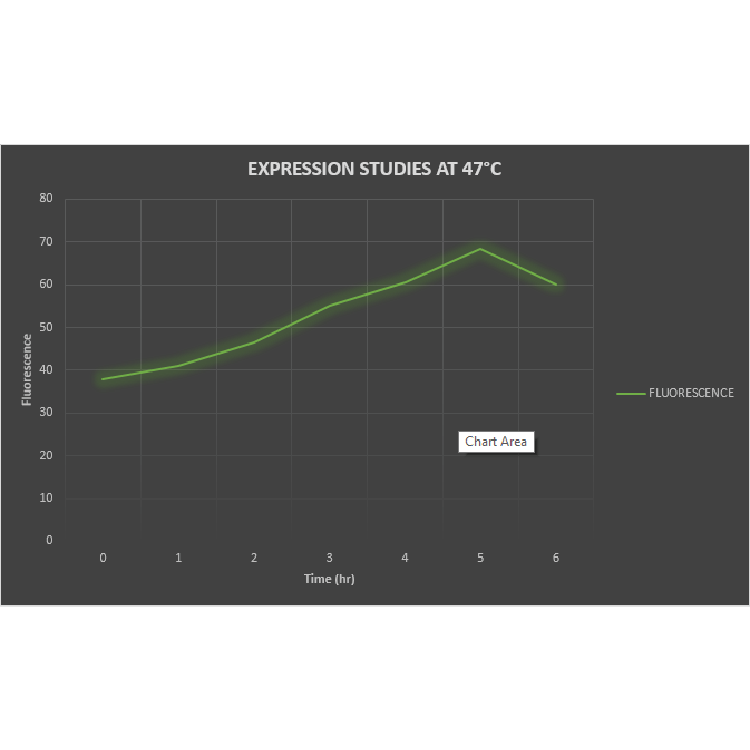 For the regulation of its activation process we used two temperature sensitive systems –λpR promoter (BBa_K608351) and RNA thermometer (BBa_K115001). 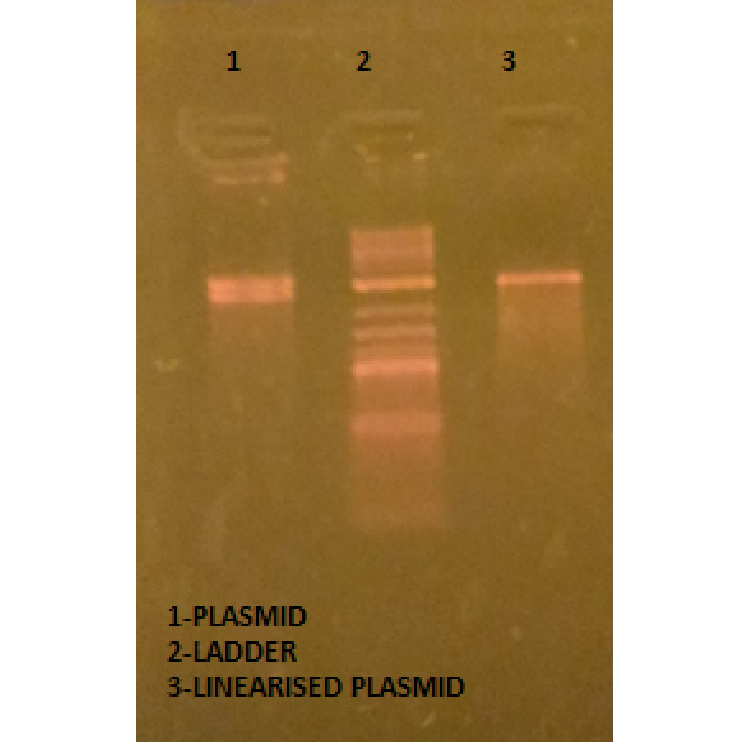 The constructs were cloned and the DH5 alpha cells were transformed with the constructs and plasmid isolation was done for size confirmation. 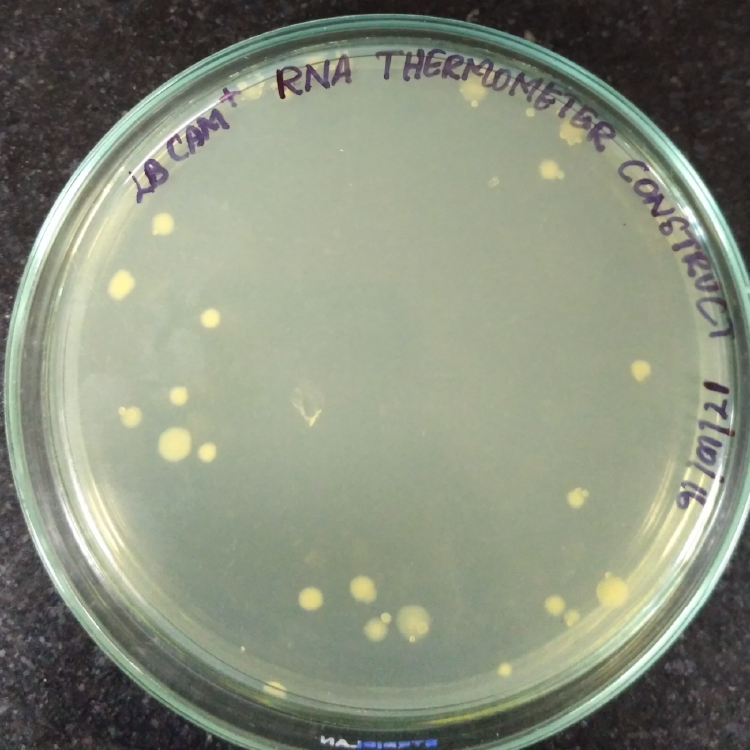 The construct contains RNA thermometer for temperature regulated system followed by cjBlue as a reporter protein.The construct was transformed.Size confirmation was done and the band was found at 2800bp. 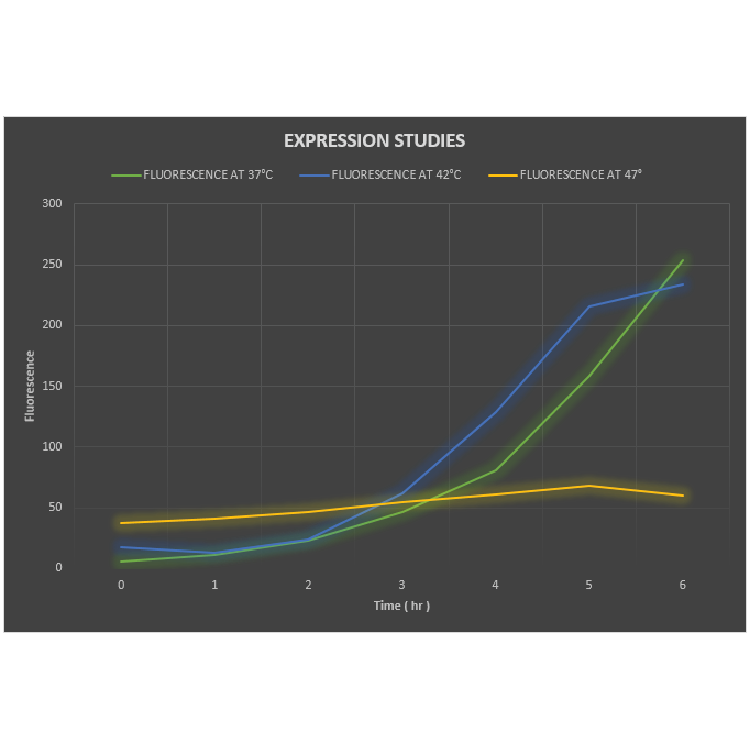 We constructed the λpR promoter with GFP in order to study the expression at 37degree Celsius , 42 degrees Celsius and 47 degree celsius. 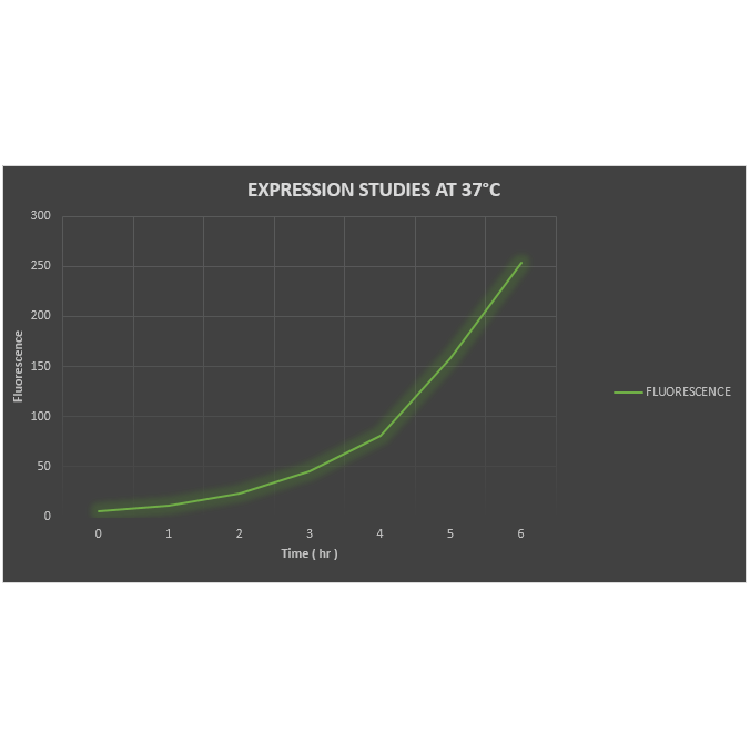 The fluorescence was measured and plotted as a graph. 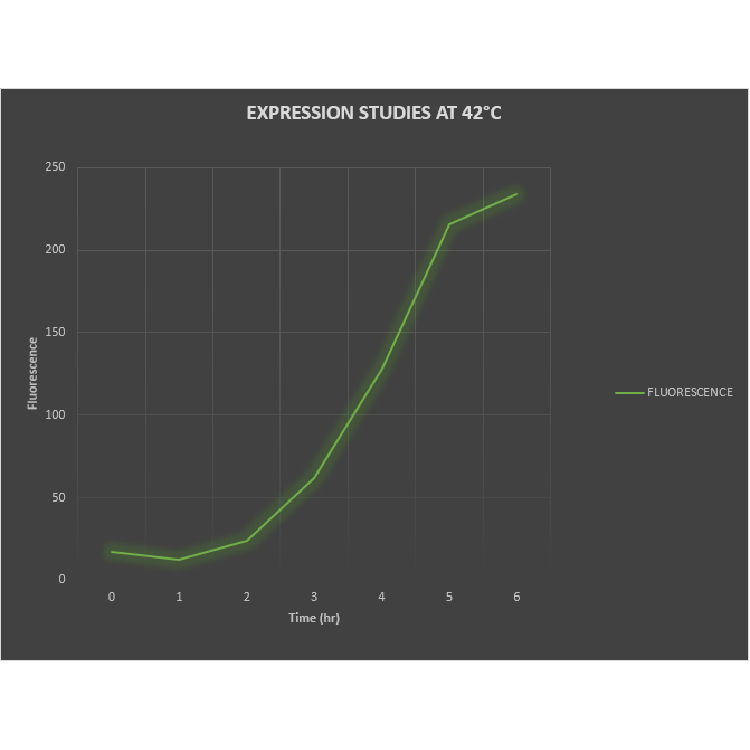 It was found that expression was higher at 42 degrees Celsius. And size conformation was done and the band was found at 3600bp. This construct consists of Anderson promoter followed by RNA thermometer ,cjBlue as a repoter and double terminator at the end for transcription termination. 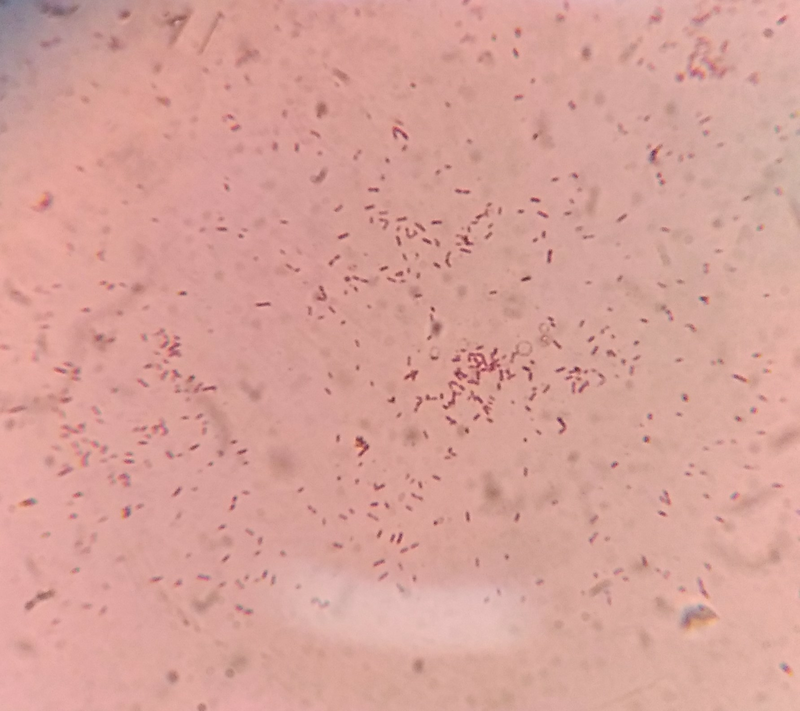 Spores were induced in vegetative B.subtilis species.These Vegetative cells were inoculated in DSM medium and it was incubated overnight. The procedure for the isolation of spores were followed as in Protocols . 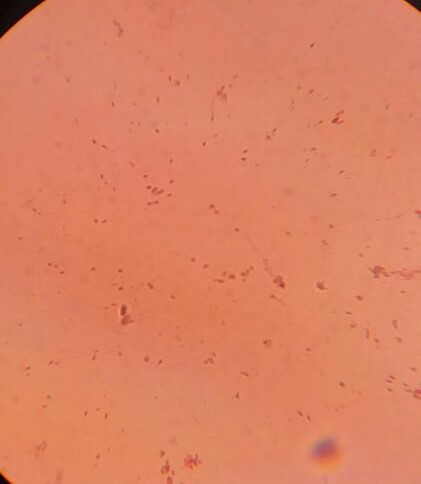 These spores were confirmed using Schaeffer–Fulton staining. 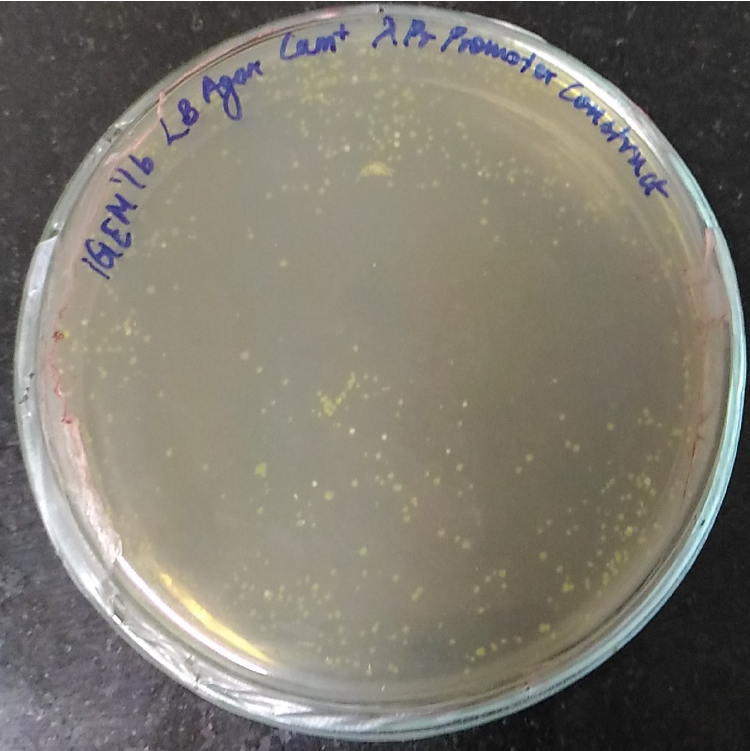 Direct isolation of spores were carried outby taking 3ml of culture and 500µl of lysozyme , followed by incubation for 1hr and centrifugation at 10,000rpm for 10 minutes. The cells were then washed with distilled water for three times and 1 ml of distilled water was added to the pellet. 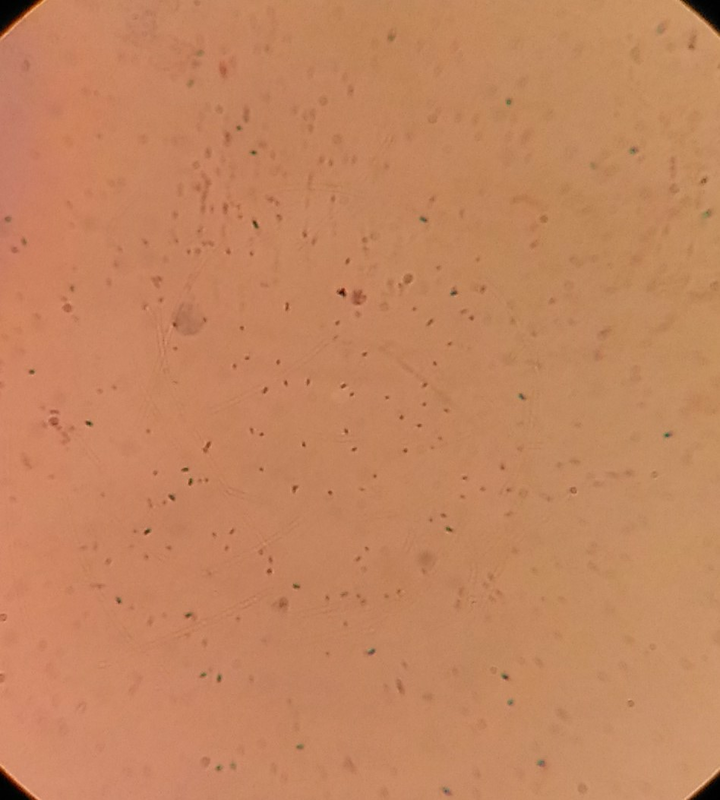 These cells were stained with malachite green and spores were observed. Other methods followed the same procedure as the above, but were given heat shock method. 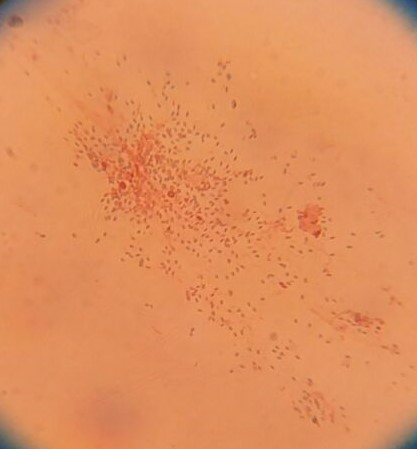 The final cells collected were incubated at 80ᵒ C for 20 minutes and 90ᵒ C for 10 minutes respectively and the cells were observed by staining. 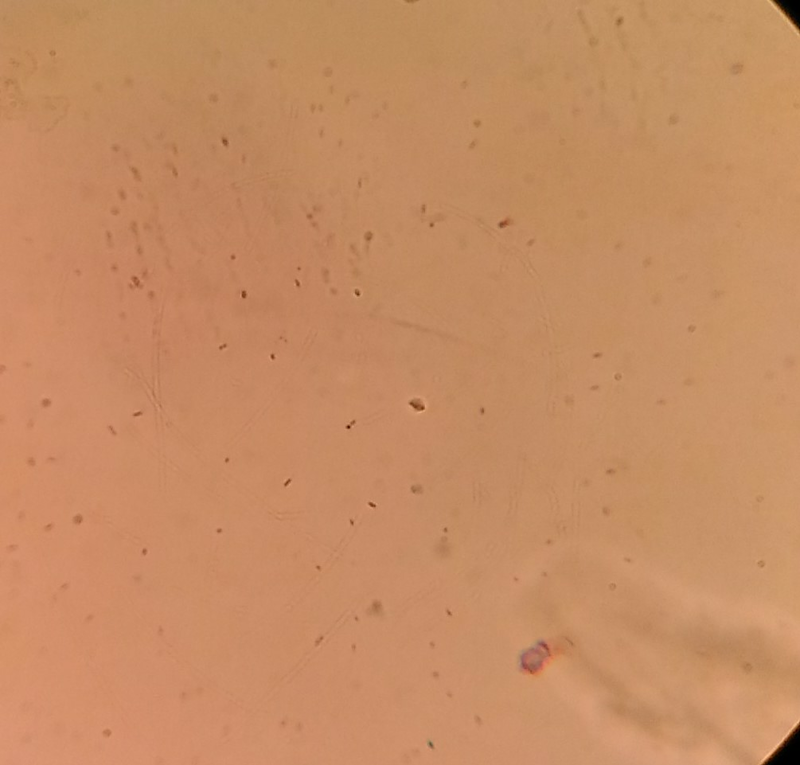 The spores were induced and isolated by the following three methods and it was found that spores were efficiently isolated in incubation at 90ᵒ C for 10 minutes. Spores can be converted to vegetative form with a supply of nutrients to the cells. 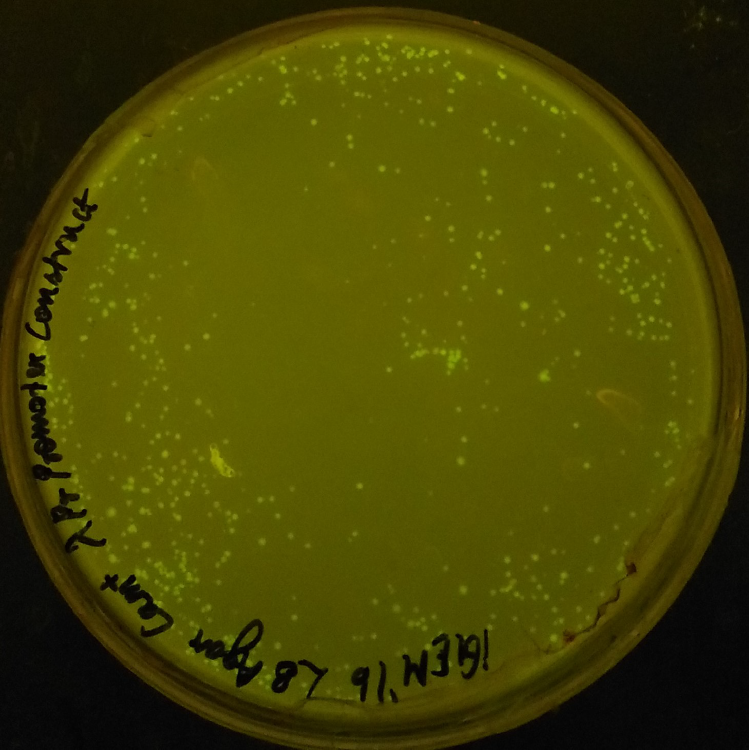 We observed the conversion of spores to vegetative form in various time intervals. From which we inferred that the spores start to transform 30 minutes onwards and is effectively converted to vegetative form by 2:30 hrs.